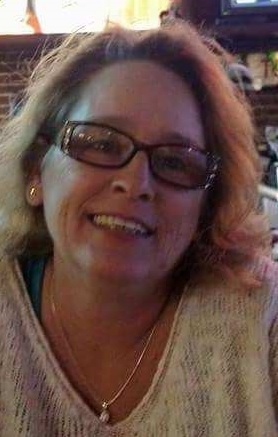 Brenda Jehle (nee Akers), 52, of Wakeman, passed away on March 23, 2019 at Fisher-Titus Medical Center in Norwalk, following a brief illness. She was born to Patricia Gerhardt and the late Buster Akers on March 5, 1967 in Elyria Ohio. Brenda loved spending time with her family. She loved her children and husband, and treasured every moment she spent with them. She had a sassy personality and loved to help her family out at any cost. Brenda also enjoyed the holidays and having everyone over for dinner. She enjoyed riding her Harley with her husband and friends. Brenda is the loving wife of John Jehle III, Devoted mother of James (Helen) Akers, Sondra (Matt) Smith, and Trisha (Nick) Maxwell, step mother of Lena (Chris) Missig and of John Jehle. She loved her two granddaughters, Lorelai and Kenzie, and her granddogs. Daughter of Patricia (James) Gerhardt, Sister of Leeanne Keeney and Rev. Dean (Sonja) Akers. She is also survived by many nieces and nephews, great nieces and nephews, cousins and friends. She was preceded in death by her father, Buster Akers. The family will receive friends on Thursday March 28, 2019 from 5 to 8pm at the Liston Funeral Home, 36403 Center Ridge Rd., (at Stoney Ridge Rd. ), North Ridgeville. The Funeral Service will be Friday March 29, 2019 at 10am at the funeral home. Her brother, Rev. Dean Akers Jr. will officiate the service. Burial will be at Resthaven Memory Gardens in Avon. Memorial contributions are suggested to St. Jude Children’s Research Hospital.